Medium-grain rice is moist, slightly chewy and tender when it's cooked. The grains tend to stick together, making it perfect for risotto, rice balls, croquettes, and pudding. 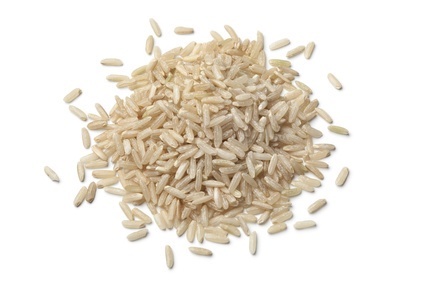 Brown rice is the whole rice kernel minus the outer husk. To produce white rice, the next layers underneath the husk (the bran layer and the germ) are removed, leaving mostly the starchy endosperm.